The average renter has about $24,000 worth of possessions in their apartment. This number might seem high but as you think of all the things you own that total starts to make more sense. Unfortunately you can't get Homeowner's insurance because you don't own your apartment but good news, there's Renter's Insurance to insure the things you own inside your apartment. 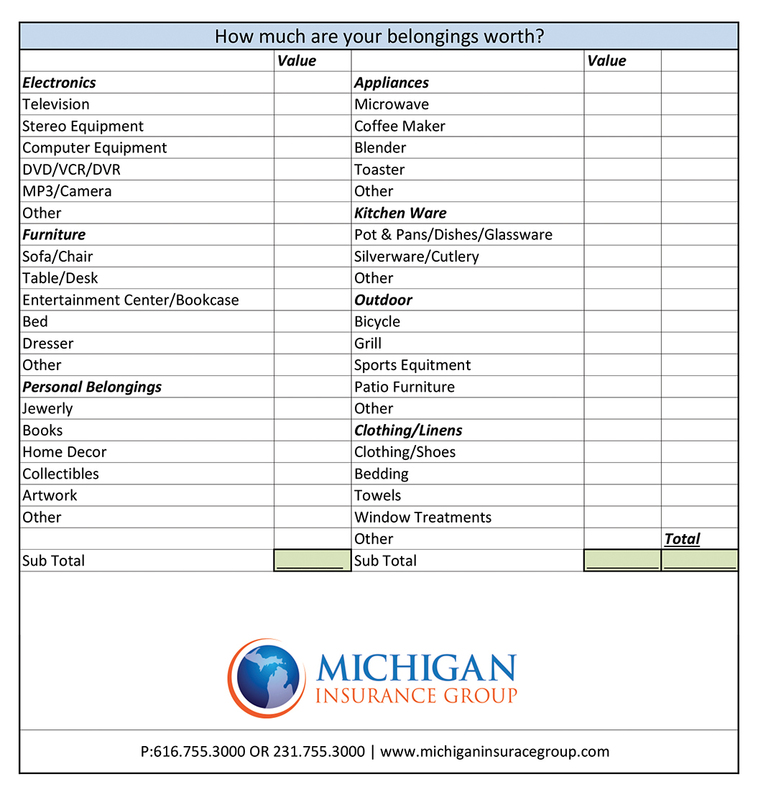 Knowing the value of your stuff will help determine the amount of insurance coverage you need to be properly insured. We've built a cheat sheet to get you started adding up the value of your possessions. ← What do I need to do before riding my motorcycle for the first time?